EDMONTON, AB – Northlands has been honoured to support the agriculture industry through Farmfair International this November 7–11. For 45 years, Northlands has produced Farmfair International, one of Canada’s top agricultural shows, where guests from around the world come to the Edmonton Region to show and sell top quality livestock and genetics. 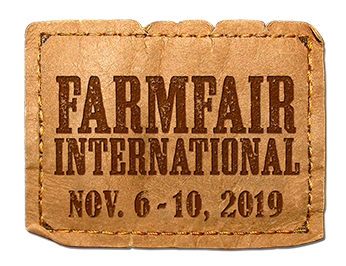 Farmfair International is proud to support Alberta farmers, ranchers and exhibitors, and welcome international buyers from Australia, Portugal, Spain, Mexico, Brazil, Argentina, England, Ireland, United States of America, South Africa, Denmark and Scotland. The 45th edition of Farmfair International drew 40,701 guests to take in cattle shows and sales, equine events, the Heritage Ranch Rodeo, Champion of the World Week and RAM Country Marketplace. Over 1,100 head of livestock were exhibited including more than 900 head of purebred cattle. Over 400 International Delegates from S. Korea, China, Kazakhstan, Australia, England, Ireland, United States of America, South Africa, Denmark, Cameroon, Germany, India, Kenya, New Zealand, Pakistan, Singapore, Wales, Zambia and Sweden attended Farmfair International to learn about livestock and agriculture in Alberta. Through Farmfair International, we were also able to support the community by providing and supporting programs such as 4-H Alberta through the 4-H Family Day, the BMO Farm Family Awards, Explore Agriculture, the Livestock Innovation Showcase and a $10,000 scholarship to Junior Futurity Beef. The first-ever Calves for Cancer presented by CFCW took place at this year’s Farmfair and raised $26,900 for the Cross Cancer Institute who are celebrating their 50th Anniversary. Over 1,500 Edmonton area school children and teachers attended Farmfair to learn about food and farming.